How Does A Beehive Work? 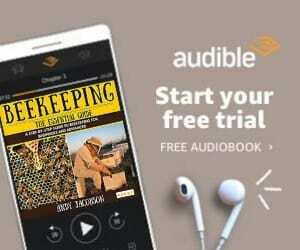 Welcome to EbeeHQ. 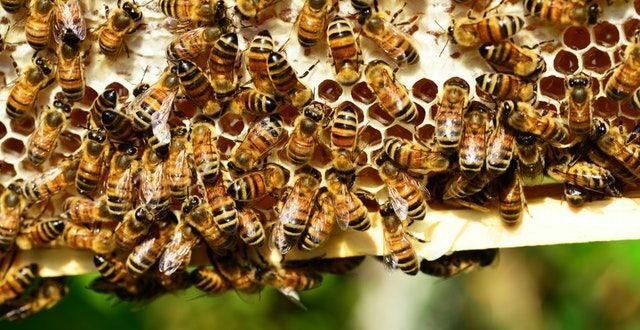 In this article, we’re going discussing what the best plastic bee hives that exist are, for housing your colony of honey-making bees. 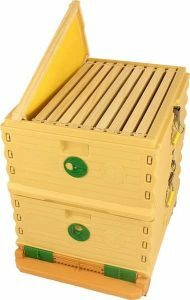 Before we go into detail about the specific plastic beehives that we’ve featured within this list, we think that it’s important to denote why exactly you may want to consider a plastic beehive, and what exactly is different to a standard wooden beehive. As with both plastic beehives and wooden beehives, there are several advantages and disadvantages associated with each type, and although most older generation beekeepers will tell you that the traditional wooden beehive is better, we’re going to explore this idea further and alleviate some of these concerns and beliefs that are little more than fear of the unknown, whilst addressing some valid disadvantages, and reasons that you may want to consider a wooden beehive. So, what are the main advantages of using a plastic hive over a wooden hive? Now, what are the valid disadvantages of using a plastic beehive? As we stated above, some beekeepers say that bees may not take to certain types of plastic due to potential fumes that the material may emit. 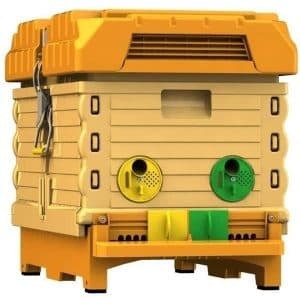 Therefore, although this is true, you can avoid choosing a plastic hive that is not able to facilitate bees, by checking previous customer reviews, as this will indicate the overall level of success of the hive functioning. However, rest assured that all of the beehives featured within this article have been chosen based on their customer satisfaction levels and reviews. Another misconception is that plastic beehives are more expensive! Now, when looking at short-term expenditure, yes, they are more expensive. However, Plastic beehives are not vulnerable to the same structural weaknesses as wooden beehives, and hence you may need to purchase additional parts for the wooden hive if the wood splits or begins to warp. Therefore, from a long-term perspective, we think that a plastic beehive is a very attractive solution. 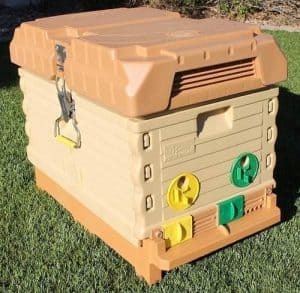 However, for all of the readers who are set on purchasing a plastic beehive kit, then without further ado, here is the list of the best plastic beehives in 2019. 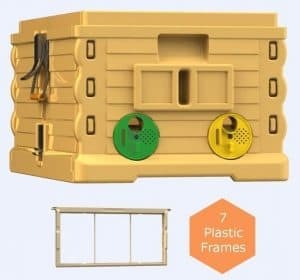 The Apimaye 7-frame plastic beehive is ideal for the majority of beekeepers, from an absolute beginner with the fact that it comes fully assembled, and does not require painting nor any material treatment of any kind… This is also a very attractive option for a more experienced beekeeper who just doesn’t want to spend so much time on the prerequisites of starting a beehive, instead of on actual beekeeping. Additionally, not only does this kit not need assembly or material treatment, but it’s extremely easy to open, which makes inspecting, moving or feeding the brood very simple. It’s also insulated to help the colony survive the harsh winter months, but take a read of our guide on winterizing a beehive for more information on this. One of the interesting aspects of this hive is the fact that it comes with 7 plastic frames, that can optionally be used with a wax foundation. It is possible to either use this as a 7-frame hive, or two 3-frame hives thanks to the dividing board in the centre… Ideal for a beekeeper who is looking to either split the hive or for queen rearing. Take a look at our list of recommended bee suits here to ensure that you’re protecting your body from bee stings. As we mentioned, the Apimaye beekeeping kit is ideal for both beginner beekeepers and more experienced alike, mainly due to the limited level of setup that needs to be done before use. Therefore, since it’s not the largest unit and therefore might not be sufficient for large, growing colonies; However, it’s certainly ideal for a new colony and as mentioned above, you have the ability to add additional supers onto this to expand your colonies further. As mentioned, this beehive kit does not come with any additional equipment, and therefore if you require safety gear, which we highly advise that you do, take a look at the recommended beginner’s beekeeping toolkit, mentioned above. 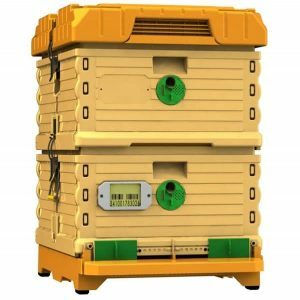 The Apimaye 10-frame plastic beehive is ideal for the majority of beekeepers, from an absolute beginner, with the fact that it comes fully assembled, and does not require painting nor any material treatment of any kind… This is also a very attractive option for a more experienced beekeeper who just doesn’t want to spend so much time on the prerequisites of starting a beehive, instead of on actually beekeeping. Additionally, not only does this kit not need assembly or material treatment, but it’s extremely easy to open, which makes inspecting, moving or feeding the brood very simple. It’s also insulated to help the colony survive the harsh winter months. One of the interesting aspects of this hive is the fact that it comes with 20 plastic frames for the 2 supers (10 frames per super), that can optionally be used with a wax foundation. It is possible to use the specially designed board to divide a colony or unite two colonies into a single hive. 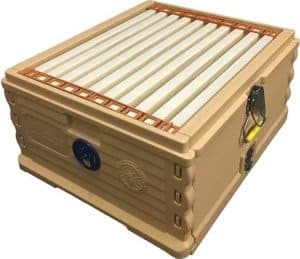 However, as the hive starter kit contains 20 plastic frames, it’s large enough for your colony to really grow, with the potential to even split the colony using the insertion board. You will also need to purchase some additional equipment, which includes a few tools and safety protection gear! 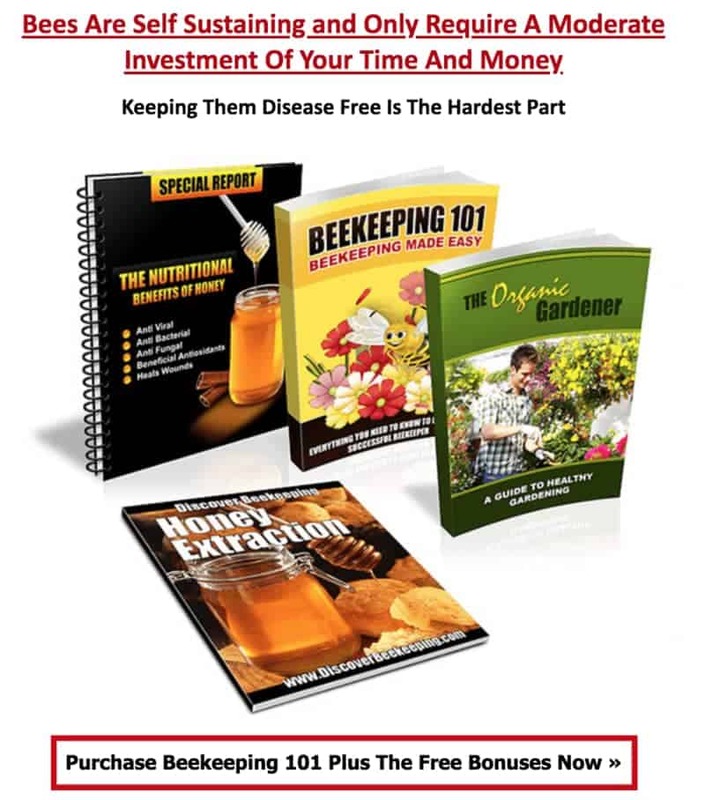 Overall, a fantastic beekeeping starter kit for those who can afford it; It provides plenty of room for your colony to grow, and allows for more supers to be stacked. Usually with our Top … articles, we feature a large array of products and make several recommendations based on multiple important factors, including price, features, size and convenience. However, in this case, because there are so few beehives made entirely from plastic, it’s a very easy process for us to make recommendations. For those beekeepers who are either complete beginners, on a budget, or are starting out with a brand new colony, and want the option to expand sometime in the future, but not immediately, then the Apimaye 7-frame beehive kit may be more suited towards you. However, if you’re potentially more experienced, have a larger budget to spare, and want to hit the ground running and expand your bee colony (potentially split the hive) quickly, then the Apimaye 10-frame (20 frames in total) beehive may be more suited to your needs. Either way, both of these hives can be expanded, with the ability to add more boxes. However, bear in mind that expanding the 7-frame beehive to hold the same amount as the 10-frame version will most likely be more expensive, and more hassle than just buying the 10-frame version to begin with… Some food for thought at least! None-the-less, both of these plastic beehives have fantastic customer reviews & ratings on Amazon, and because of this, we’re confident that no matter which nuc you choose, you’ll be fully satisfied with your choice.